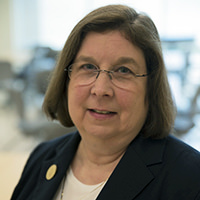 Laura Lee Richardson, Assistant Dean of Academic Affairs and the Director of Preclinical Education at Marshall University Joan C. Edwards School of Medicine, died suddenly at her home in West Virginia on May 28, 2018. Richardson had been a member of ASCB since 1998. Born in Washington, DC, Richardson grew up in Bethesda, MD, and went on to study biology at Newton College of the Sacred Heart, prior to its merger with Boston College. She earned a master’s degree from the University of Virginia and a doctoral degree from Georgetown University. Following postdoctoral training at The Burnham Institute and the University of Tennessee, she joined the basic science faculty of Marshall University. Richardson specialized in testicular cancer research with respect to how the transcription factors SKI and SNO are altered in testicular tumors. She directed the university’s Anatomy Outreach Program, which introduced Huntington, WV, high school students to laboratory research opportunities. The program helped to attract underrepresented minorities and rural students to medical school at Marshall. In addition, she directed the Human Gift Registry, which encourages whole body donation for medical education purposes. She led the annual memorial service that helped honor the memory of the donors. A memorial service in her honor was hosted by Marshall University at the Joan C. Edwards Playhouse on July 29 where she was recognized for her teaching, mentorship, and friendship.